Where to Buy X Xtra Iron 6-0-0, X-Xtra Iron 6-0-0 Chelated Fe 9% Liquid - 2.5 - 30 Gal - $88.95 for Sale with Fast Free Shipping! 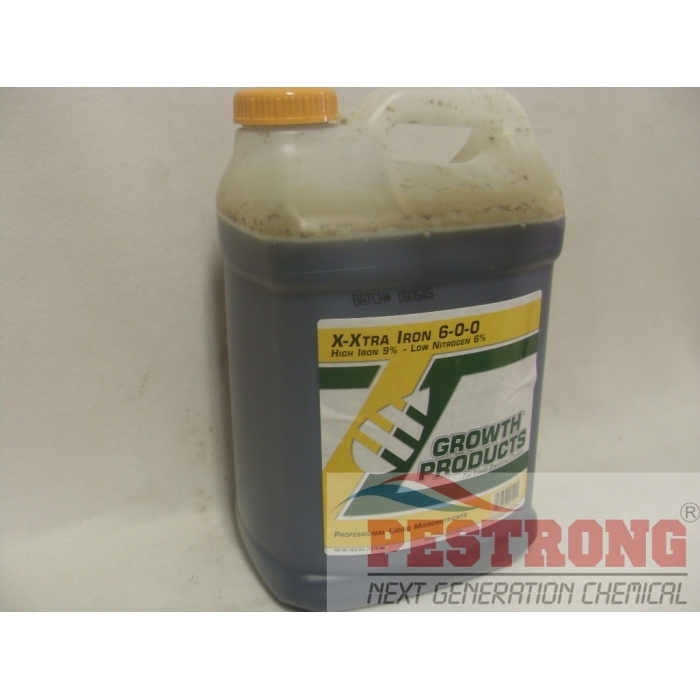 X-Xtra Iron 6-0-0 Chelated Fe 9% Liquid - 2.5 - 30 Gal is formulated by a unique Iron/Nitrogen complex that converts the iron to a soluble form that stimulates fast green up with no surge growth. By buying this product & leave product review you can collect normally 88 reward points as a voucher of $8.80(1%). The Classic 18-3-6 with 50% SRN Plus Minor..
Micrel Total 5-0-0 Liquid Micronutrient.. It contains the three most essential nutrients for photosynthesis: Iron, Nitrogen and Sulfur. It is amine compatible and can be used with herbicides and pesticides as well as other Growth Products nutrients. It can be used for regular turf maintenance to enhance rich green color and promote strong root systems for high traffic areas and stress conditions. It can be used on turf, tree and ornamentals for correction of iron deficiencies and chlorosis. Derived From: Technical Grade Low Biuret Urea, Ferrous Sulfate. Chelating Agent: Citric Acid. This product works well for strawberry beds, I am glad that it is available again, just follow the instructions and it will do a very good job of preventing weeds. Thank you Pestrong for having this product . Dacthal is no#1 pre-emergent herbicide for our farm. I used this without any issue. The cost effective and powerful brand name. I am happy pestrong got dactal I wish.